I instantly felt connected with Yunnan when my flight from Chengdu landed. 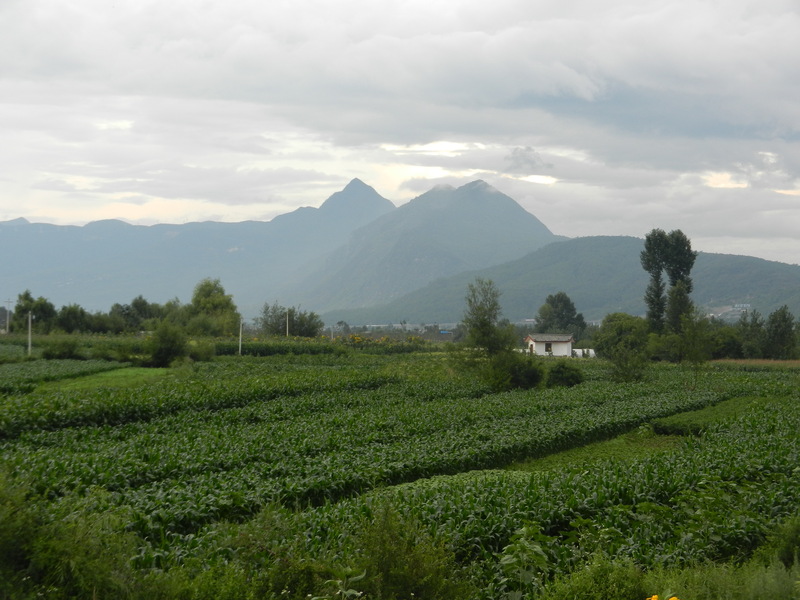 The rugged mountains and the crisp air at Lijiang’s 7,000 foot elevation felt refreshing after being in a big city. Many of the people I saw were Naxi, who are a minority related to Tibetans. The grandiose scenery and the cheerful Tibetan faces reminded me of a trek I did in Nepal way back when. The combination of sublime nature and human intimacy attracted me to Tibetans a long time ago. My first few minutes in Yunnan immediately brought me back. But Yunnan has many other cultures too, and every day was a new adventure. 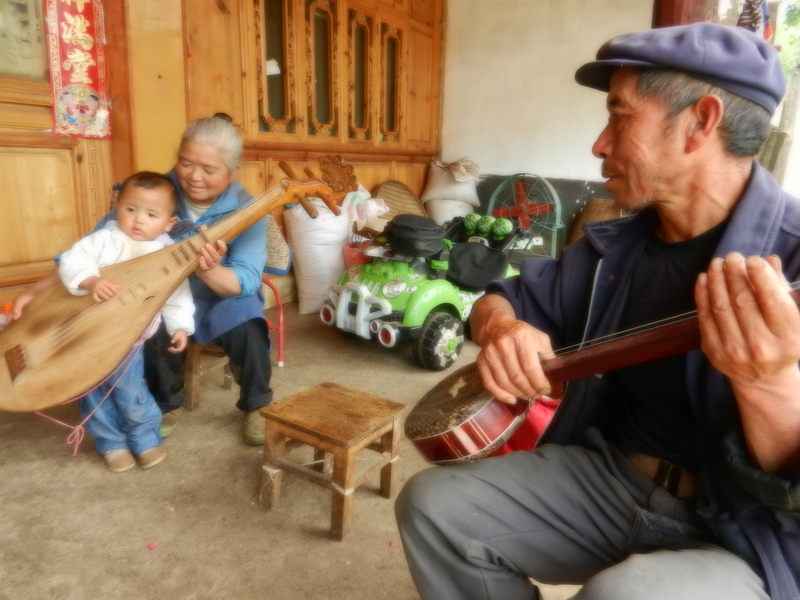 Yunnan has been multicultural for a long time. We’ve all heard of the Silk Road. 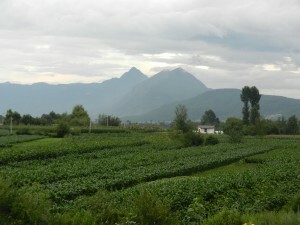 Yunnan was a key part of the Tea Horse Road. Merchants and porters carried tea from Sichuan through Yunnan and traded it for horses and rugs from Tibet. 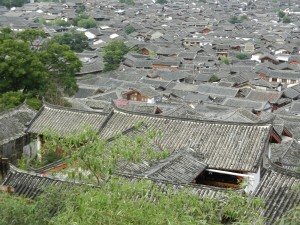 Old Lijiang (shown above) was established in the late Song Dynasty, but most of it grew after the Mongols forged the Yuan Dynasty. People from the Tea Horse Road’s different cultures met to trade in its market. But people carried more than goods. 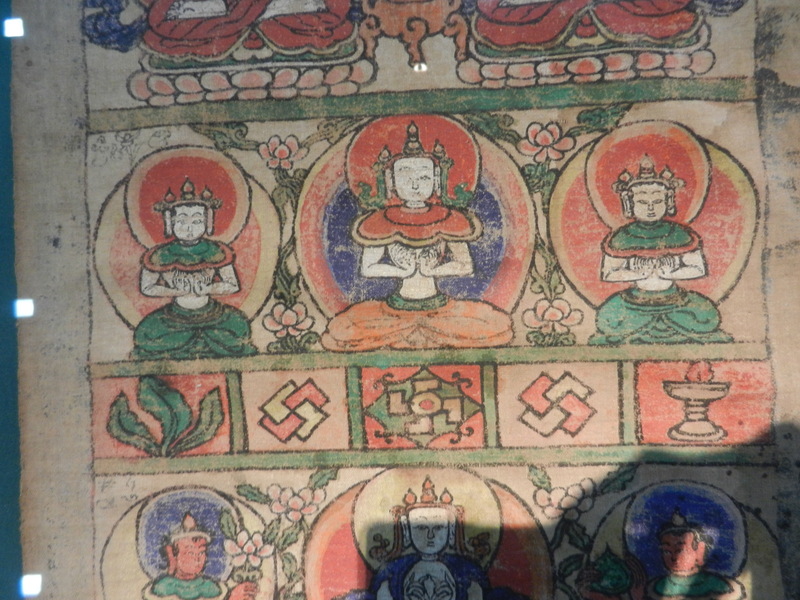 They brought Buddhist ideas and art from Tibet and India. So the Tea Horse Road was a major cultural crossroads. The above picture is from a widely-spread Naxi art form–a strip (often more than 20 feet long) with the road to Heaven painted on it. Here, we’re near the top–let’s be optimistic! 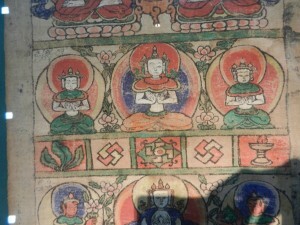 Several rows of three meditating deities lead to the apex. Their iconic two dimensional surfaces, halos and bright colors were artistic conventions from Tibet and Nepal. The idea of the road to Heaven reminded me of the Tibetan Book of the Dead–a map of the path that the soul takes when it leaves this world. Monks recited it to a recently departed person. Keep your eyes on the road and your hands upon the wheel, as Jim Morrison from The Doors sang. But look back to the top of this post–to the first photo. Is it Heaven? If it aint’ it felt damn near. People from Tibetan cultures would have felt at home in the mountains. 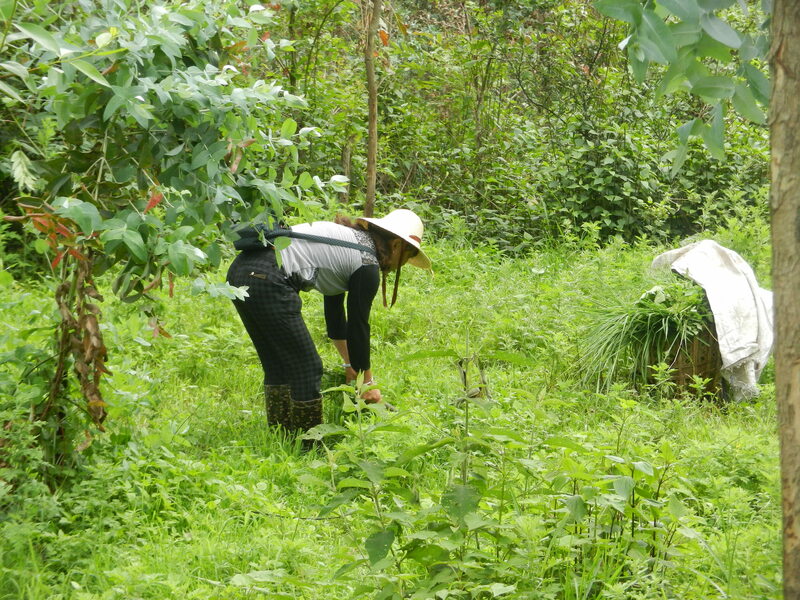 People from the tropics of Southeast Asia would have felt at home in the lush fields. And this dude from California felt at home in the multicultural blends. Yunnan became one of my favorite places in the world. More Yunnan magic to come.